Gaurav Vashisht heads the operations and business development team at aspiring International BPO, Panache Tech Solutions (P) Ltd. as Executive Director. He started his professional career in 2003 with Global Tea Estate Ltd. as a marketing executive. 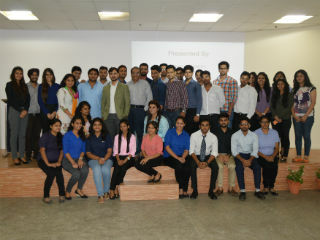 The session was conceptualized to groom students with skills like Interpersonal Communication, Personality Development, Leadership & Team Building, Presentation Skills, Negotiating Skills; so as to make them fit for the corporate world. 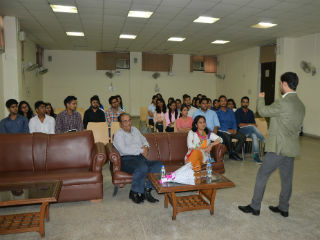 The session also included the study of management through “vedas”. How can one learn the art of management through our ancient epics Ramayana &Mahabharata. Activities like role-play and team building were conducted to involve juniors and make them think out-of-the-box on issues of concern to shape competence. 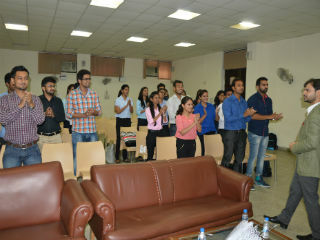 Some practical tips were shared on how to be effective at work place be in class or real life. The session was quite absorbing from learning perspective as was evident from the queries students raised and the enthusiasm shown to work together. 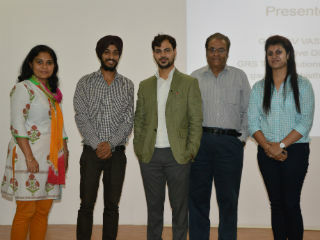 Finally the Workshop ended successfully with a Vote of thanks and presenting chocolates to the Winners of the day.